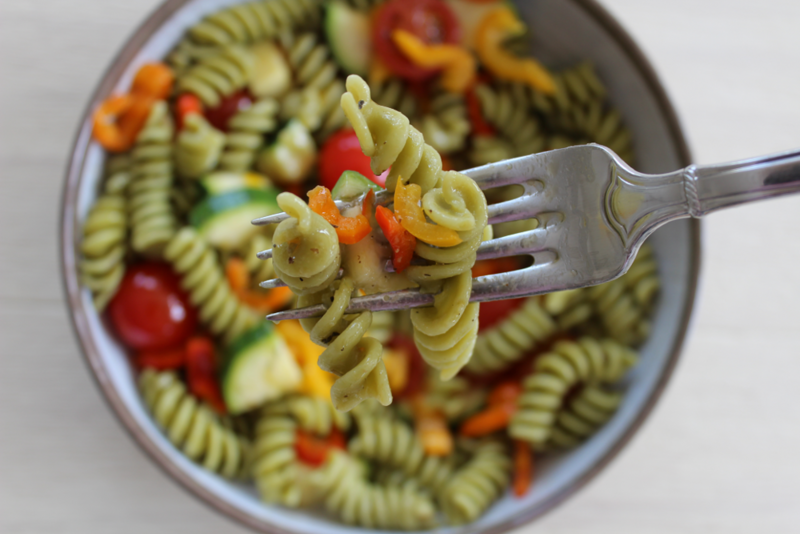 I love a good pasta salad, and this recipe for Anti-inflammatory Pasta Salad is GREAT! Itâ€™s one of those super simple meals that feels incredibly satisfying and nourishing. Packed with antioxidants from the colorful array of veggies, along with the fiber and plant-based protein, this Anti-inflammatory Pasta Salad is designed to keep you both satisfied and feeling healthy. Itâ€™s the perfect meal prep recipe for lunches and dinners, since it lasts all week in the fridge. Bring to any picnic or outdoor event, too!